From Goodreads: A contemporary YA novel about a girl who, years after her mother's death, gets a fresh start in a new seaside town. 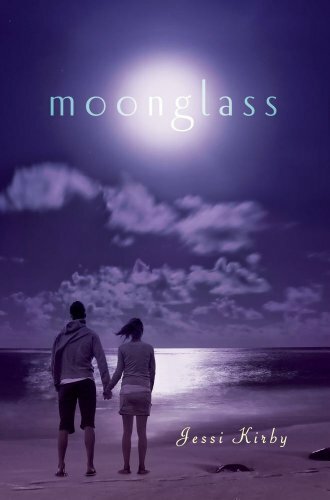 She seems to be outrunning the past, but discovers that the sea glass she wears around her neck is not just a token of her mother's memory but a connection to the very stretch of water she now calls home. The cover is gorgeous. I love the violet tones. I'm not convinced by the blurb but mainly because I feel like I've read enough grief stories lately. I agree with everything Becky said! Oooh, mysterious! I love the cover, and I'm intrigued by the premise. I feel like I'm not *exactly* sure where it's headed, but I like that. Thanks for sharing. I agree with all of the above - lovely, mysterious cover!